Learn to Rock is a highly specialised and professional independent Music and Performing Arts company based in Yorkshire. We work in partnership with schools and educational establishments to provide a bespoke service fulfilling any aspect of Music and Performing Arts Education both within the curriculum and as part of an extra-curricular programme. We also work with parents to provide Music lessons, Vocal and Band Coaching and Musical Theatre Groups for students aged 4-18 as well as lessons for adults, taking place at our partner schools or at our ‘after school hours’ centres. 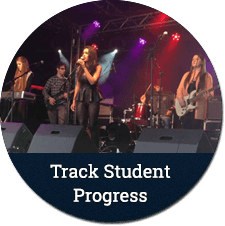 As well as Music and Performing Arts opportunities being provided by schools where students can access the Learn to Rock instrument and band programmes during the day at school. 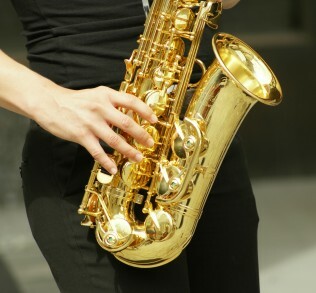 We also provide an evening and weekend service for students who would like to learn an instrument or take part in one of our band programmes outside of normal school hours. We are committed to ensuring that we follow the Every Child Matters principles in all aspects of our work. Our researchers develop schemes of work for all key stages within which we follow the principles outlined by the DfE. Our annual Musical Theatre Summer performance. Please check this space for more details in the early Summer Term. I have really enjoyed every single instrument especially the keyboard. The teachers are really nice and never get bossy. They help you if you are stuck it has been really good fun. My four year old son James has just started to learn the keyboard at Learn to Rock and is really enjoying his lessons and looks forward to Tuesday evenings. His concentration levels are improving as a result of his learning and he loves to demonstrate what he has learnt to his Grandma. I can thoroughly recommend Learn to Rock to any School who wishes to enhance their Music and Performing Arts provision. The children at Addingham Primary School absolutely love their Music curriculum lessons and one to one instrument music lessons because they are inspiring, fun and challenging. Copyright © 2019 Learn To Rock Ltd.